Our Abpromise guarantee covers the use of ab52477 in the following tested applications. WB 1/1000. Detects a band of approximately 60 kDa (predicted molecular weight: 60 kDa). Lanes 1 - 4: Merged signal (red and green). Green - ab52477 observed at 60 kDa. Red - loading control, ab8245, observed at 37 kDa. 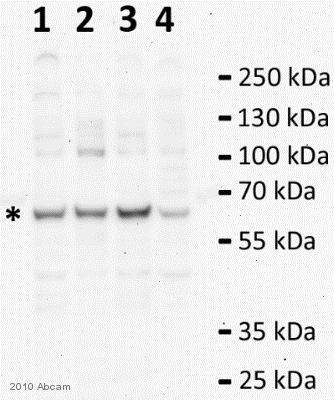 ab52477 was shown to specifically react with Catalase when Catalase knockout samples were used. 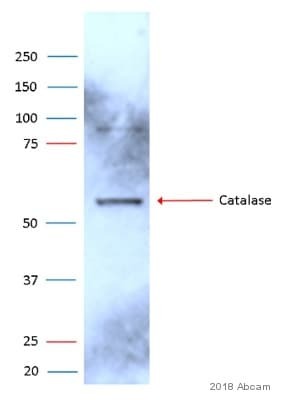 Wild-type and Catalase knockout samples were subjected to SDS-PAGE. ab52477 and ab8245 (loading control to GAPDH) were diluted at 1/1000 and 1/10,000 respectively and incubated overnight at 4°C. 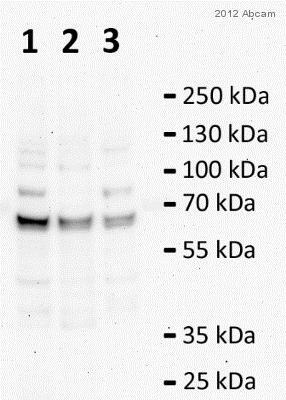 Blots were developed with Goat anti-Rabbit IgG H&L (IRDye® 800CW) preadsorbed (ab216773) andGoat anti-Mouse IgG H&L (IRDye® 680RD) preadsorbed (ab216776) secondary antibodies at 1/10000 dilution for 1 hour at room temperature before imaging. IHC image of Catalasestaining in a formalin fixed, paraffin embedded normal human liver tissue section*, performed on a Leica Bond™ system using the standard protocol F. The section was pre-treated using heat mediated antigen retrieval with sodium citrate buffer (pH6, epitope retrieval solution 1) for 20 mins. 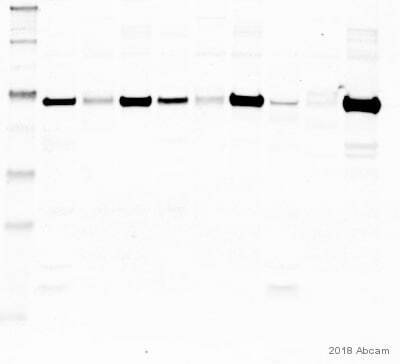 The section was then incubated with ab52477, 5µg/ml, for 15 mins at room temperature and detected using an HRP conjugated compact polymer system. DAB was used as the chromogen. The section was then counterstained with haematoxylin and mounted with DPX. 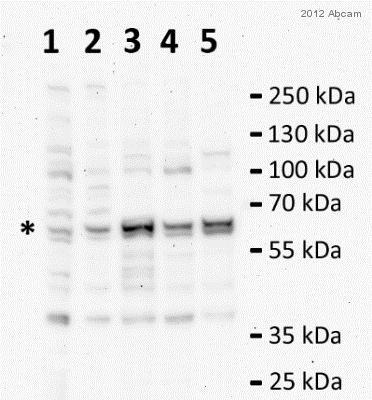 Western blot - Anti-Catalase antibody (ab52477)Image courtesy of an anonymous Abreview.